Rosie the Riveter may have kept airplane assembly lines humming during World War II—but what about World War I? Who built all those wood and fabric biplanes? Who shaped and filled the millions of cartridge bullets that America sent over to the trenches of Europe, or made the gas masks to protect troops facing chemical warfare? Cultural historian Carrie Brown rediscovers these women of an earlier generation through her lively account, illustrated with more than 100 archival photos. Trading their ankle-length skirts and crisp white shirtwaists for coarse bloomers or overalls, American women went into factories to face explosives, toxic chemicals, metal-cutting machines, and the hostility of men in the shops. 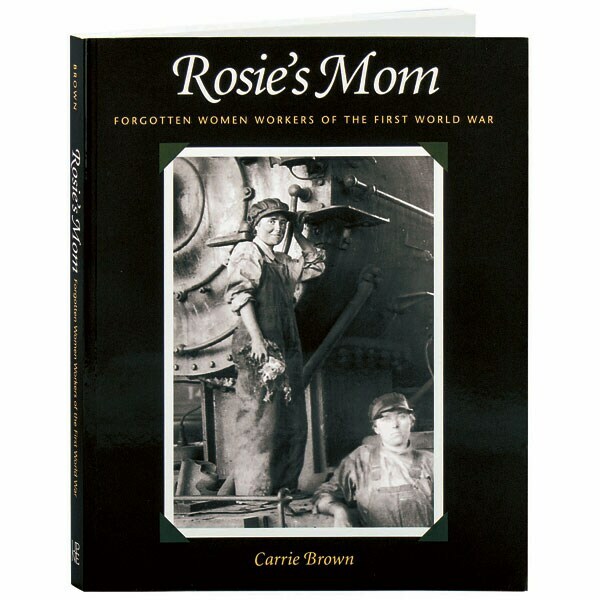 By 1918, notes Brown, more than a million American women had become involved in war production, proving that women could be trained in technical fields, forcing hazardous industries to adopt new health and safety measures, and making a powerful argument for women's voting rights.